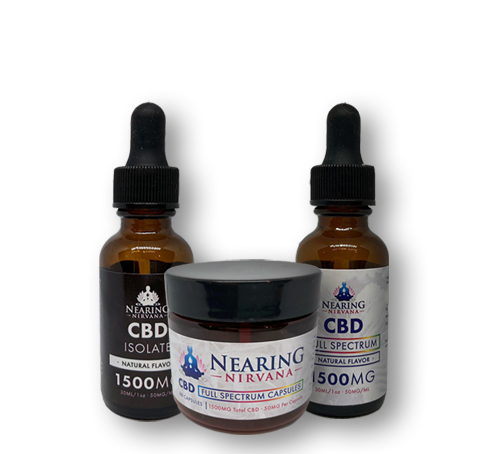 Our client partner, Nearing Nirvana (www.nearingnirvana.com) is a holistic health provider with a product portfolio that includes CBD oil products and superfoods. The founder of the company was in a nearly fatal car accident and ended up bedridden for six months. This traumatic event ultimately inspired him to start Nearing Nirvana after realizing that putting clean ingredients into his body and engaging in activities like yoga and hiking made him feel revitalized and much healthier. After doing considerable research into the science behind these products and developing reliable, high-quality sourcing, production, and testing, the leadership team was ready to launch. They knew they had the effective, high quality, healthy products needed to compete in these growing categories. CBD oil, which has proven impact on stress & anxiety, chronic pain and inflammation, insomnia and sleep disorders, and specific conditions such as epilepsy, is projected to grow 700% between now and 2020. However, with this growth, comes intense competition. The team turned to &Marketing to help the company stand out - with a clear strategy and message, on the shelf (through packaging & signage), and online, to help tell their unique story in an authentic way and grow sales. Marketing Strategy: The &Marketing team was able to help develop a clear marketing strategy for Nearing Nirvana. We created specific segments for their varied customer audiences to ensure their brand personality and voice would resonate with each group. We also helped them develop clear and concise value propositions and messaging which addressed the specific needs of each audience and focused on Nearing Nirvana’s uniqueness. The ‘master’ Nearing Nirvana brand and logo had to be consistent across all products, but the product brands (CBD and superfoods) needed to be specific to their categories. The size and packaging configuration was very different; CBD oil packaging is much smaller and needed to communicate complicated information in a small space in a glass dropper (isolate vs full spectrum; different flavors, etc); Superfood packaging was much larger and required more vivid colors to reflect the contents of the package (tubs, envelopes, capsules, etc.). Competitively, each set of products had to ‘compete’ with the established brands in each category, and since no other manufacturer makes both superfoods and CBD oils, separate competitive benchmarking required the &Marketing team to develop separate branding guidelines. 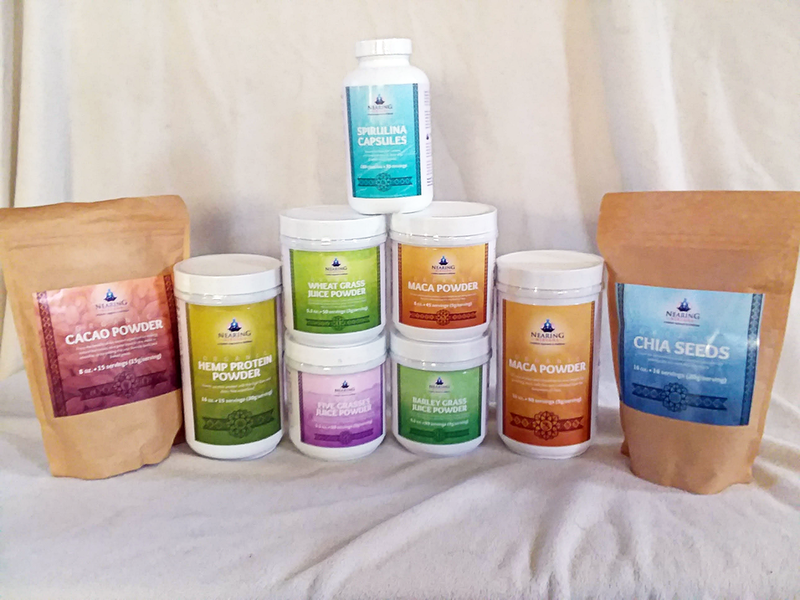 Nearing Nirvana Superfoods, including 8 SKUs of Hemp Powder, Cacao Powder, Chia Seeds, Spirulina, Wheat Grass, Maca, Five Grasses, and Barley Grass. CBD oil for pets needed to target pet owners & veterinarians as something that is safe for pet consumption, while still maintaining cohesion with the brand. Tell: Nearing Nirvana’s unique story needed to be told, and it took our team of seasoned copywriters to help tell it. Educate: Research showed that many shoppers are skeptical about some of these products, so we had to create content dedicated to research and science. We also had to convey usage information - when to use which product and why. Enable a better shopping experience: As easily as possible, users and shoppers had to get the information they needed and make a seamless purchase. The shopping experience was greatly improved, and the site was elevated to a sleek, content-rich, easy to use website. We created meaty, layered content, including a reference section with usage guides, case studies, and dosage information. The visuals of the revamp are striking, and greatly enhance the shopping experience. Since the relaunch of the Nearing Nirvana website in late December, the results have been striking. The site has seen an increase of 165% in direct traffic, many of which are new users. Total new users are up 76% and sessions have increased by 103%. Continue to populate the website with up-to-date educational and thought leadership material. Assist with increasing retail distribution and professional partnerships. Finally, as a display of our partnership with Nearing Nirvana, they have agreed to allow clients, partners, and friends of &Marketing a one-time 15% discount code for any purchase over $50 on their site. Use the code promo15! &Marketing (www.and-marketing.com) provides experienced marketing strategy professionals and a nimble execution team to help our clients achieve their goals. Our unique partnership model allows us to launch or augment our client’s existing teams in an affordable, flexible, and transparent way.